Partly cloudy skies. Low 56F. Winds S at 10 to 15 mph.. Partly cloudy skies. Low 56F. Winds S at 10 to 15 mph. 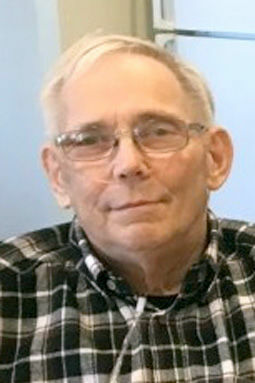 David H. Otteman, age 76, of Scribner died Monday, Feb. 11, 2019, in Omaha. David was born Sept. 8, 1942, in Scribner to Henry and Margaret (Givens) Otteman. He was raised in the Scribner area before moving into Scribner. He graduated from Scribner High School in 1960 then went into the Army and served until 1963. He worked for the railroad and Farmers Co-op in Scribner. He married Kathryn Zedicher in November of 1968. The couple lived in West Point before returning to Scribner. David was employed at IBP/Tyson in West Point for 37 years. David was a member of the United Lutheran Church and Masonic Lodge in Scribner. He was also a member of the VFW Post 4912 of West Point. David loved to fish with his father in the Elkhorn and enjoyed being outside and working in his garden. You might also see him standing beside his pickup at the end of the driveway and wave as people drove by. Survivors: wife, Kathryn of Scribner; sisters, Lauralee Meyer of Omaha, Joyce Schobert of Arizona; brothers, Jim (Maryllis) Otteman of Wausa, Floyd (Dixie) Everitt of Fremont; brother-in-law, Nick (Rita) Zedicher of Columbus; sisters-in-law, Chris Larreau of Hastings, Marcia (Max) Shelton of Taylor; best friend, Timmy; many nieces and nephews. David was preceded in death by two sisters and a brother-in-law. Masonic and Military graveside services will be held 11 a.m. April 13 at the Scribner Cemetery. A light lunch will follow the graveside service in the basement at United Lutheran Church in Scribner. Memorials are suggested to the Scribner Rescue Squad.